The key to the internal examination is proper positioning of the head. Ask the patient to hold his or her head back. Place your left hand firmly on top of the patient's head, and use your left thumb to elevate the tip of the patient's nose. 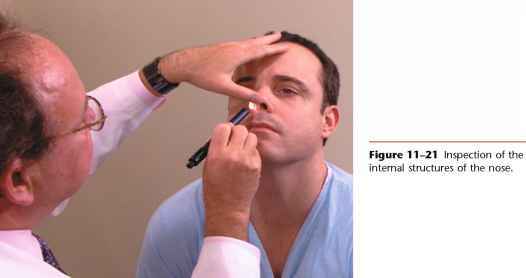 In this manner, change the position of the patient's head to visualize the intranasal structures. Use a light source to illuminate the internal structures. This technique is shown in Figure 11-21. 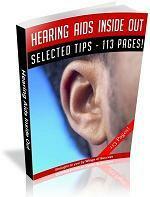 Inspect the position of the septum to the lateral cartilages on each side. Examine the vestibule for inflammation and the anterior septum for deviation or perforation. Evaluate the color of the nasal mucous membrane. Normal nasal mucous membranes are dull red and moist and have a smooth, clean surface. Nasal mucosa is usually darker in color than oral mucosa. Inspect for exudate, swelling, bleeding, and trauma. If epistaxis has occurred, examine Little's area for vascular engorgement or crusting. Is a discharge present? If so, describe it as purulent, watery, cloudy, or bloody. Is crusting present? Are any masses or polyps present? Tip the patient's head farther back, and check the posterior septum for deviation or perforation. Note the size and color of the inferior turbinates. The two inferior turbinates are rarely symmetric. Inspect the size, color, and mucosal condition of the middle turbinates. Are polyps present? 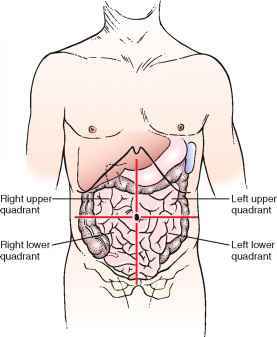 Most polyps are found in the middle meatus. 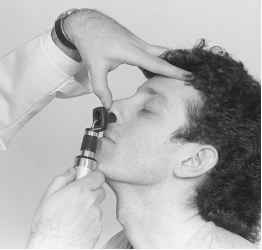 Figure 11-22 Using a nasal illuminator to inspect the internal structures of the nose.